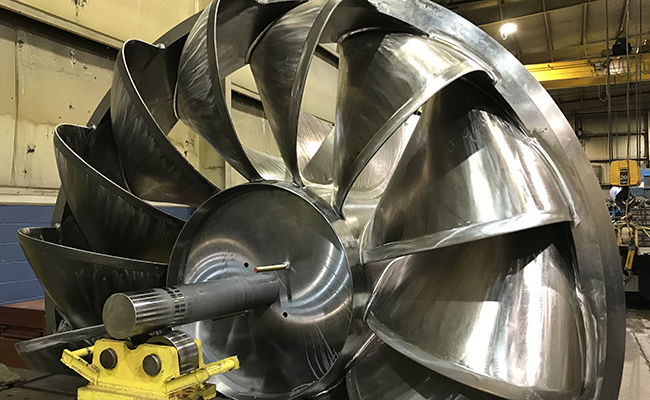 The project was for the machining of a Runner for a hydraulic turbine that was used in the refurbishment of one of a unit that produces power at a dam in the Southern United States. 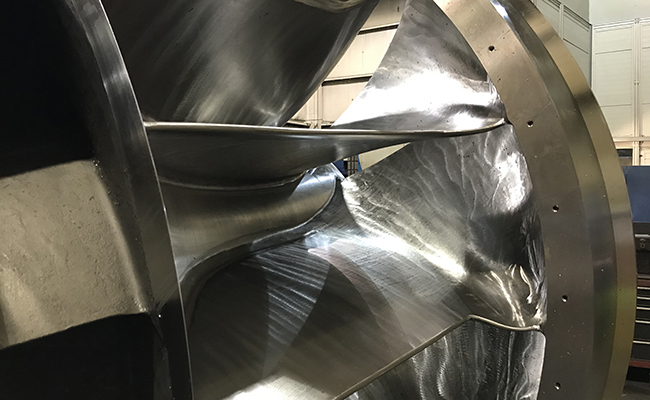 Magna’s customer was the OEM that designs and builds Hydraulic Turbines and they were tasked with the project upgrade and refurbishment. 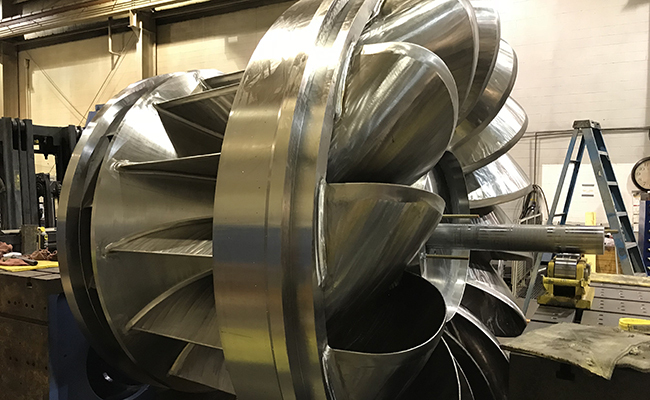 Magna was chosen for the project because of our large turning and milling capabilities, as well as experience. 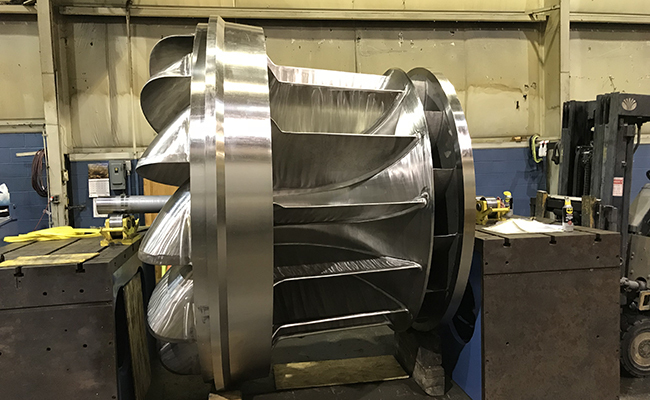 This part was unique because of its size of over 100 inches in diameter and the critical nature of the part and time line. 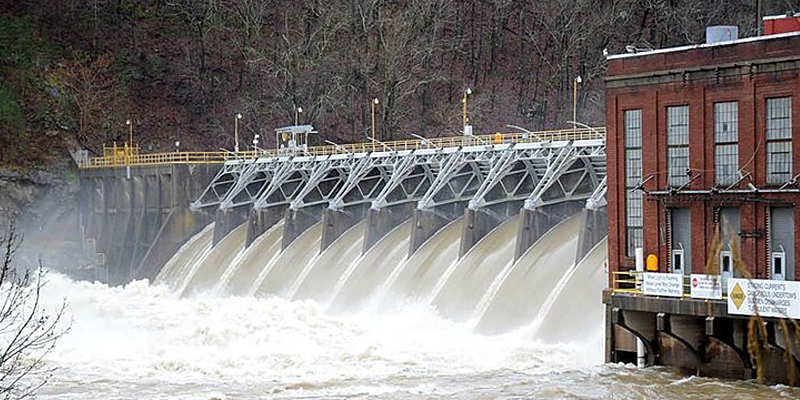 This part is the key to the turbine and as the water falls down through it the runner turns and is connect by a shaft to the generator to produce the power. Our customer was under a critical time line to have this built and back in service. 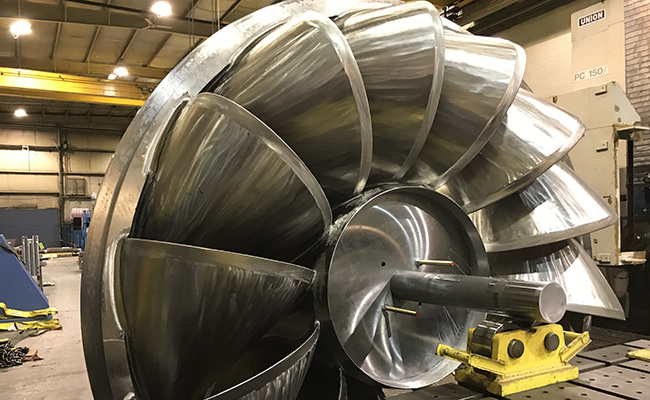 Our machines and experience gave our customer the confidence that we could meet the need and critical timeline. 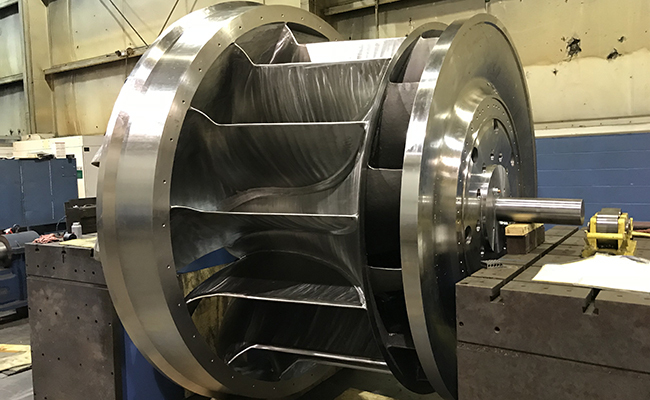 Difficulties Overcome: The handling of the part was critical as many of the surface were flow path and had to be protected when turning it over and setting it up for machining operations. 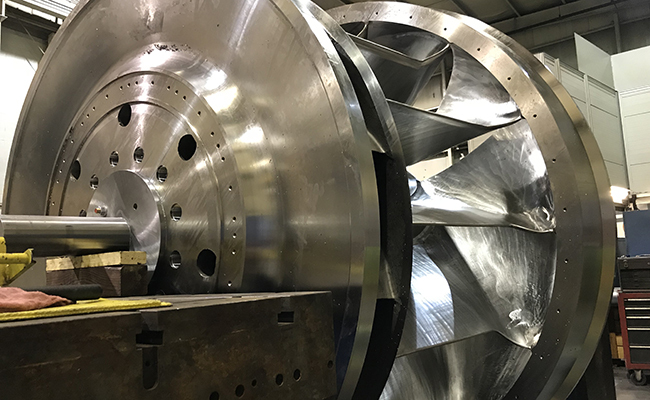 Positive Client Feedback: They were very happy with our company for the flexibility to meet their critical schedule and the ability to work side by side with their people during the machining and trial fit up with other parts. 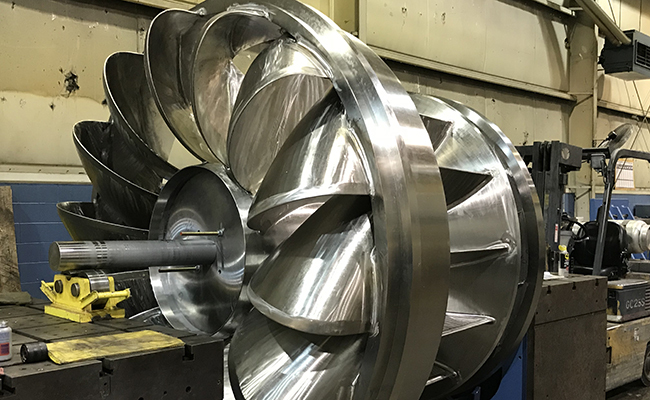 Special Feature of this Product: Because of the unique design of the part, it was very difficult to handle when setting up for machining. 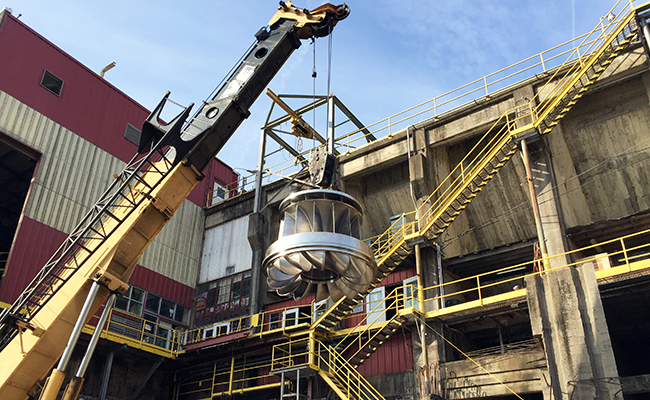 To turn the part over, two cranes had to be used in conjunction and the part was not allowed to be set directly on the formed buckets that extended past the areas to be machined. Employee Roles: This part involved many different people.